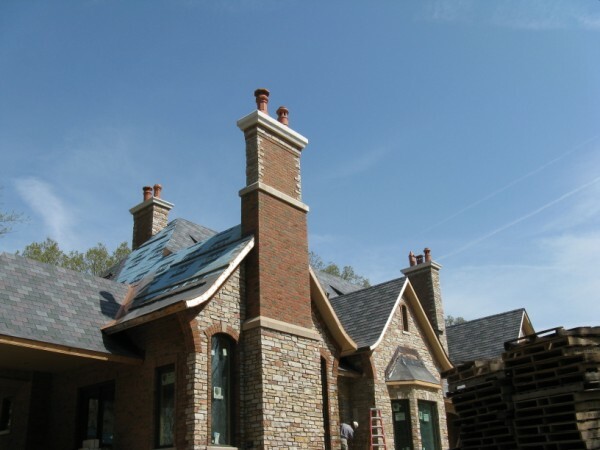 Stichter & Sons Masonry, Inc. Our company is over 40 years old. Currently, all workers are family members. We are beginning our 3rd generation. We lay brick, block, stone and pavers. Residential and Commercial. We have been building masonry heaters since 1990. We have membership in the Masonry Heater Association of North America. http://mha-net.org/ A masonry heater is probably the cleanest way to burn firewood. A load of wood is burned rapidly and cleanly and the heat soaks into the large mass of masonry, which then radiates into the room. There is no constant fire. We also are building wood fired bake ovens. In a WFO the fire is built on the cooking surface, which soaks the masonry with heat. The coals can be pushed to a side and pizza is then cooked on the hearth. Or the oven can be cleaned out of ashes and anything can be baked. Outdoor kitchens are becoming more popular and we can build with many features. Features like: grill, sink, fireplace, fridge, cutting board, drawers, concrete countertops.